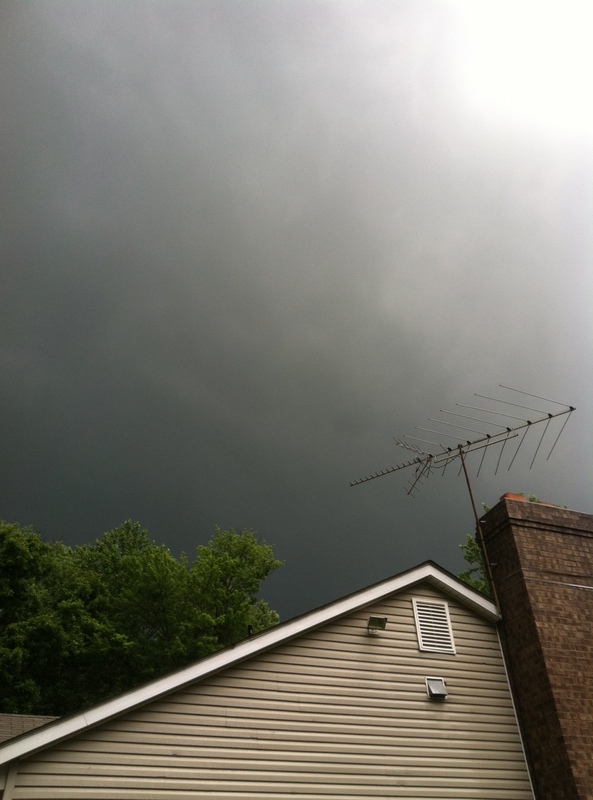 We were actually under a tornado watch when I took this outside our home in between bouts of pelting rain. Which means, drop your school books and scramble to get your jobs done before dinner. One of the kids has the job of cleaning out the drain at the bottom of the basement stairs, and today’s weather provided one of those teaching moments in which the value of doing this daily maintenance FLOODS your awareness, so to speak. Two of them cleaned out the roof gutters for me earlier this week, too – a job which earned them some rare (around our house) monetary remuneration, and boy, am I glad they did! It rained so hard we got completely soaked running from the car to the house. Plants are happy, though! They were getting dry.